The young immigrant finally owned his own land; he must have believed that he was then ready to establish his own home. That home was built on a small hilltop, on the north side of Quincy Street, just west of 48th Avenue. The next documented event in his life occured on the nineteenth of October 1875, when Jan married Roelotje Meijer (anglicized to Rhoda Meyer) in the nearby village of Drenthe. Rhoda was born to Dutch immigrants in the nearby farming area of Overisel. Rhoda’s parents, Hendrik Meijer and Aaltje Boerman were among the first Dutch settlers to arrive in Ottawa County just thirty years earlier. Geert ‘George’(1892-1961), who married Henrietta Kuipers in 1916. The farm established on that land remained in the family for another one hundred and thirty years. Elsie and John A. Timmer were the last of the family to own the house. I attended the farm sale and sadly said “goodbye” to a real piece of my family history. As a child, I often joined my parents to visit with some of the cousins of my Grandma Rhoda Timmer Abel. Most Sunday afternoons, we drove over to my grandparent’s farm in Georgetown Township. Sunday was a day for family and friends to drive out and visit with other family and friends; a day to catch-up. The Kamps’ and the Brower’s often came to their home. I would play on the floor, behind the corner chair and above the big, floor vent which released a steady stream of warm air. The men would smoke cigars and everyone would talk at once. Although I do not remember their visits, the names of the Ensink’s and the Ridder’s were very familiar to me, too. Many members of this large Timmer family continued in the farming tradition and remain in Ottawa County. “BS Geboorte,” database, Drents Archief , https://www.wiewaswie.nl/en/search/search/record-details/a2apersonid/131435754/srcid/14439042/oid/37 : accessed 2 Jan 2015, entry for Jan Timmer, Zuidbarge (Emmen), 17 Nov 1847 record. Ancestry.com. 1870 United States Federal Census [database on-line]. 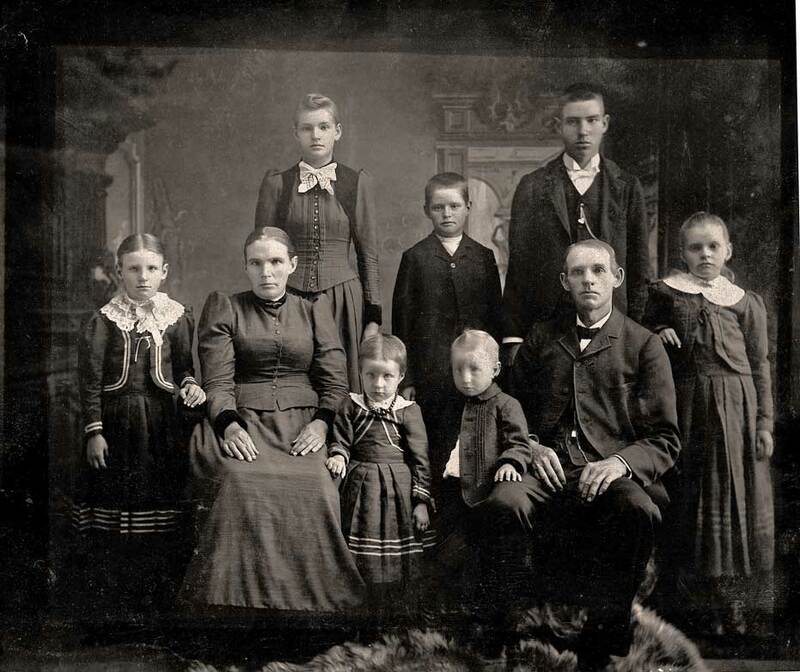 Provo, UT, USA: Ancestry.com Operations, Inc., Overisel, Allegan, Michigan; Roll: M593_660; Page: 310A; Image: 623; Family History Library Film: 552159, 2009. Jan Timmer’s Quit-Claim Deed, 7 September 1872; Michigan, Ottawa County, Register of Deeds, Jacob Den Herder, Notary Public, no 94, 1872, Grand Haven. Jan Timmer’s Warranty Deed, 7 September 1872; Michigan, Ottawa County, Register of Deeds, Jacob Den Herder, Notary Public,, Jacob Den Herder, Notary Public, Grand Haven. no 96, 1872. Grand Haven. Ottawa County, Michigan, Record of Marriage Index, 5:122, Timmer-Meijer, 1875. Evelyn Sawyer, transcriber. “Drenthe Reformed Church Members, 1847-1882,” database. The USGenWeb Project: Michigan: Ottawa County, http://ottawa.migenweb.net/churches/reformed/drenthe.html,, entry for Aaltje and Hendrik Timmer, 1880, Jamestown, Michigan. Ancestry.com. Selected U.S. Federal Census Non-Population Schedules, 1850-1880 [database on-line]. Provo, UT, USA : Ancestry.com Operations, Inc., 2010. Census Year: 1880; Zeeland, Ottawa, Michigan. Jan Timmer and family, photograph, ca 1891, digital image. I gained access to the image on Ancestry.com, Originally posted by Mark VanAllsburg, 16 January 2011. The location, condition, and characteristics of the original are not known. very cool…well done! I enjoyed reading the history, and imagining the incredible journeys that became the lives of these folks!